It was a truly enriching experience working with Lush the magazine and Makeup Artist Association Singapore. Being part of this event for Singapore’s TOP Makeup Artist 2018 and dolled Priya Sinha for 4 different looks within at least approximately 15 mins each for the Final Fashion Segments. They are a group of dedicated and serious models who performed extremely! Also congratulation for our efforts and hard works. Receive the Special Talent Award as hair and makeup artist presented by Miss Low Yen Ling, Singapore Parliamentary Secretary, Ministry of Education and Ministry of Trade and Industry. Ms Low personally gave me the edition limited book of the late Mr Lee Kuan Yew as her gift and she honestly admired my resilience. 5 years have passed, I have never really thought of what I am achieving. Like as if the days are long but the years are short! I can confidently say that I would not be where I am today if were it not for my “deaf fellow mentors, models and clients”. I am greatly indebted to these amazing photographers and I share the award with them. Thank you to the upright judges who carefully chose me as being the most suitable designer among those talented makeup artists of their best traditional method of wearing a Sanggul Lintang and the different gold accessories required to assemble a complete the full traditional outfit. In fact, I could not thank enough all of you enough who has helped and supported me in one way or another; in every part that contributed to me being the 1st runner up. Every effort to cheer on for us is deeply appreciated. Your support plays a vital role in our success! It was a tremendous honour to work with Nanyang Technological University on the pageant event.It is also a tremendous boost for Stephy to strive and excel higher and aim for even bigger accomplishments in life. It is the ultimate token of recognition of purest of talents and highest of achievements. Although the pageant coordinator, Amanda is not in Singapore to present this award, I still felt a sense of gratitude and appreciation to accept it from the committee. Once again a big thanks to NTU and looking forward for future collaborations in the next many years to come. I would like to extend my appreciation to NTU for your kind. It is an honor to be selected for this prestigious recognition of my works award from Singapore Nanyang Technological University. It means that it’s a token of self-fulfillment, a sign that hard work really does pay off, and also provides me encouragement for further success in my career. 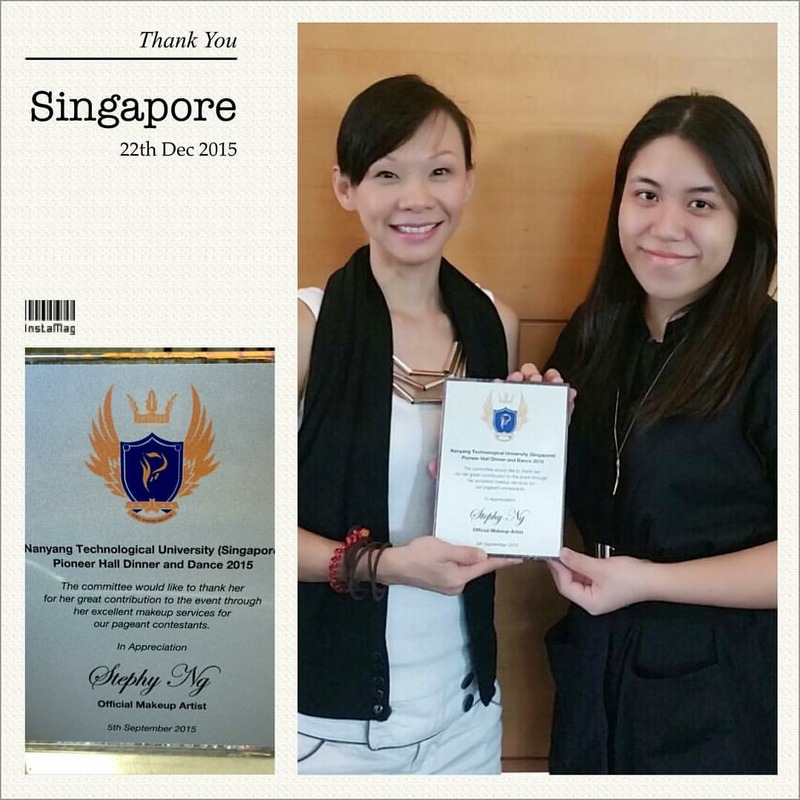 Thank you, the event business manager of NTU, Vanessa for this honor.